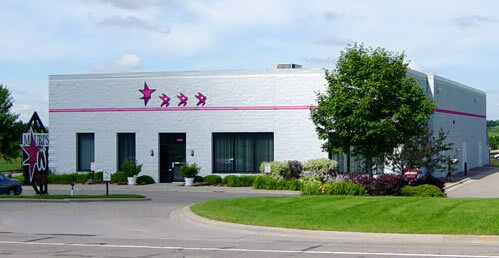 In 1998, Mauri's built a specially designed 10,000 square foot building. It houses 3 spacious studios fully equipped with state-of-the-art sound systems as well as an ample lobby with easy access to the front offices. Also for the convenience of the students there is a homework room, a video training facility and a supply center for shoes and other dance related items. Mauri's School of Dance employs a large staff with 7 regular teachers, several assistant teachers and many student teachers. An office manager and office assistant are available to handle your daily student and business concerns. With this vast array of talented mentors every student at Mauri's is assured personal and individual attention from the teaching staff.